HAVE YOU EVER WONDERED HOW THE HISTORY OF BEAR MOUNTAIN CONTRIBUTED TO MAKING BEAR MOUNTAIN AN EMPIRE? READ ABOUT THE HISTORY OF BEAR MOUNTAIN AND HOW IT BECAME LANGFORD’S MOST LUXURIOUS NEIGHBOURHOODS. The History of Bear Mountain: Bear Mountain is Canadas Urban Resort community. Located on southern Vancouver Island, Bear Mountain is nestled in between the City of Langford and the Highlands, offering residents and guest alike, resort living at its finest. The idyllic natural setting of Bear Mountain is just minutes from downtown Victoria, BC. Up at Bear Mountain, the premier luxury homes terrace the mountainside, many with panoramic vistas. You will never see Greater Victoria the same way after seeing it from one of Bear Mountain’s beautiful homes. The existing community alongside the resort contains approximately 1,150 homes with 3,000 people, and at build-out over 4,000 homes and the community could exceed 10,000 residents, and has been zoned for 645,000 square feet of commercial space. Bear Mountain is a neighbourhood growing toward becoming a sustainable community. More and more amenities are introduced every year as the development expands its variety of single-family homes and townhouses. You will find the Cypress neighbourhood, nestled amidst the pristine beauty of the 4th Fairway, 5th Tee and 3rd Green of our prestigious Mountain Course. Made up of single-family building lots and two townhome developments, Cypress is one of those special neighbourhoods that just takes your breath away. You will be surrounded by stunning greenery, amazing views, and the vast history of Bear Mountain. You will find the newest development, the Cypress neighbourhood, nestled amidst the pristine beauty of the 4th Fairway, 5th Tee and 3rd Green of our prestigious Mountain Course. Made up of single-family building lots and two townhome developments, Cypress is one of those special neighbourhoods that just takes your breath away. You will be surrounded by stunning greenery, amazing views, and the vast history of Bear Mountain. The History of Bear Mountain is inspired by the natural surroundings of stunning viewscapes at Goldstream Park, Mount Finlayson and, of course, the spectacular golf courses. Playgrounds dot the neighbourhood and extensive wilderness trails coil around the mountain, perfect for families. The mountain atmosphere promotes healthy living and an active lifestyle. For kids, elementary and middle schools are to the south. Millstream Village is to the north and is Langford’s commercial hub. It is just a few minutes off the mountain and has a variety of restaurants, national chains, and boutiques. 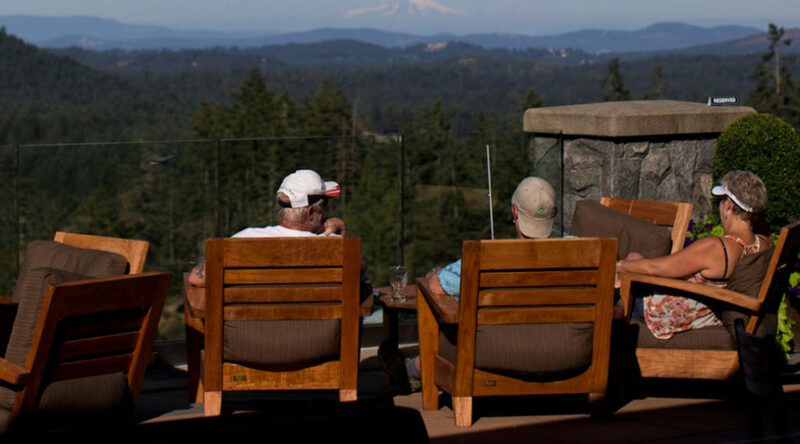 Bear Mountain may be best known for its golf courses and resort accommodations; but, the history of Bear Mountain is an astonishing part of how the mountainside became Langford’s most luxurious neighbourhood. Learn more about why you should Buy Your First Home in Bear Mountain – Contact me today!